Will the New York Islanders Replace Lubomir Visnovsky? After losing his arbitration hearing, everything seemed to point to the fact that Lubomir Visnovsky would don an Islanders jersey if the NHL lockout was lifted. 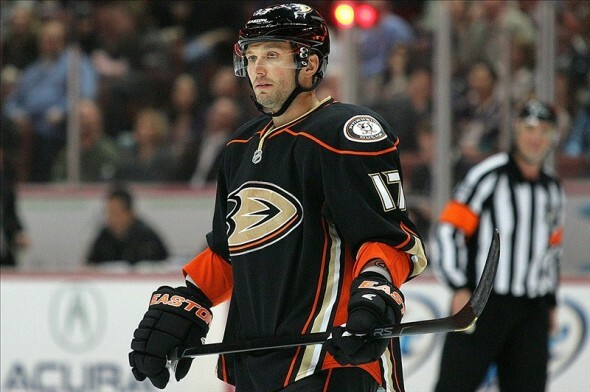 However, returning to the NHL did not seem to be one of Visnovsky’s priorities as the Slovakian defender stated that he would play out the rest of the 2012-2013 hockey season in the KHL. While debates regarding Visnovsky’s actions might carry on in the next few days among Islanders fans, the New York Islanders and Garth Snow will be forced to act quickly in the coming days. Sn0w’s draft day deal for Visnovsky was welcomed by Islanders fans as the move gave New York a legitimate top-four defenseman to round out the defensive core, but the defender’s flip-flopping has handicapped the team and has left fans wondering who will replace Visnovsky on the depth chart. Finding a value deal for a top-four defender will likely be extremely difficult for Snow at this point, but the Islanders can always look for some sort of a replacement within the organization. Substituting for Visnovsky won’t be an easy task, but a couple of interesting options will probably be considered once training camp rolls around. invite to the Isles’ training camp along with Ryan Strome. While it is unknown whether Reinhart and/or Strome will be invited to training camp, Reinhart would be the youngest defensive option that New York could wind up going with. 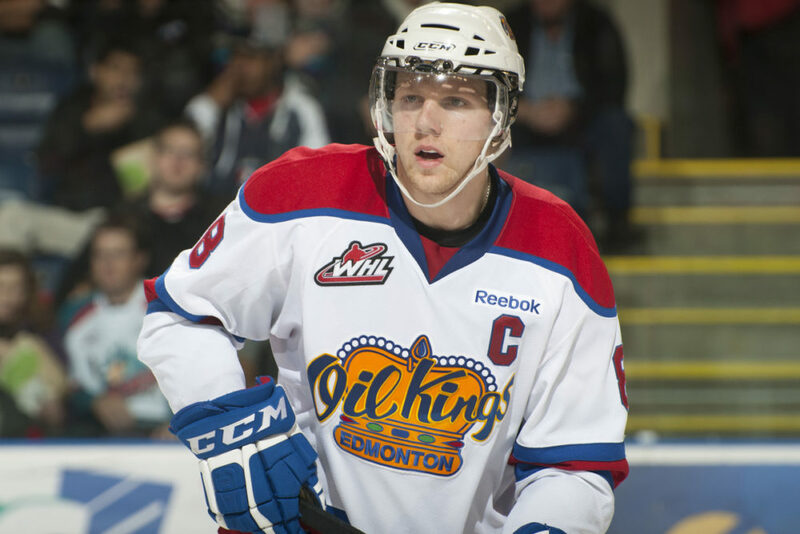 As captain of the Edmonton Oil Kings, Reinhart has posted 14 points (4 Goals, 10 Assists) in 31 games in the WHL this season. The Canadian defender might not have had the best of showings at this year’s WJHC, but that is unlikely to discourage the youngster as he progresses with his hockey season. Reinhart has been touted as a good defender and a player that excels at both ends of the ice, but the defenseman might need some more grooming before he is ready to handle NHL duties. Even if Reinhart does not receive an invite to training camp, fans should expect the Islanders organization to take the utmost precaution with Reinhart’s promotion to the NHL as he might have aspects of his game that still need to be worked on. 3.) Jon Landry – Landry has been somewhat of a surprise for the Islanders’ AHL affiliate over the last two seasons as he has been a steady producer for the Sound Tigers. Last season, Landry recorded 20 points (2 Goals, 18 Assists) in 34 games for Bridgeport and has come close to the same point totals in the same amount of games played during the current AHL season. Landry is the oldest of all of the previously mentioned options, but his time has mostly been spent in the Central Hockey League, the EIHL, and the ECHL. As a journeyman defenseman, it will be interesting to see if Landry can translate his recent AHL success to the NHL level if he is invited to training camp or is called up at some point during the season. 2.) Aaron Ness – Ness is New York’s 40th overall pick at the 2008 NHL Entry Draft and will probably be given a strong look if invited to training camp. Ness has been on the Isles’ radar since last season when he tallied 27 points (5 Goals, 22 Assists) in 69 games played for the Bridgeport Sound Tigers. As a result of his strong play, the defenseman was called up for a nine game stint with the Islanders during the 2011-2012 NHL season. Even though Ness did not manage to record a point during his call-up, he was gradually given more playing time and wound up staying with the Islanders longer than other defensive prospects such as Matt Donovan. Not only is Ness a hardworking defenseman, but his elusiveness, composition, and skating abilities allow him to compete at a high level even though he is a bit undersized (170 lbs., 5’10”) for a defenseman. While Ness’ point totals this season (12 Assists) might not stand out, Islanders fans should expect the Minnesota native to be one of the options that New York strongly considers to bring on board from the AHL. 1.) 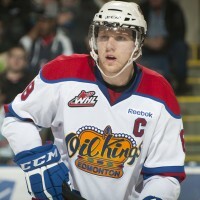 Matt Donovan – Donovan has slowly been rising the ranks within the Islanders’ system over the past couple of years. In 33 games this year with the Sound Tigers, Donovan has 17 points (5 Goals, 12 Assists) and a +7 rating. Last season, Donovan had 45 points (10 Goals, 35 Assists) and even earned himself a three game stint with the Islanders. Donovan’s short stay with the Islanders might not help decipher how the defenseman can possibly adapt to the rigors of the NHL, but it should be noted that the defender received significant ice time during his three game stint with New York. Even though Donovan did not register any points with the Islanders, he showed that he is willing to use and sacrifice his body on the defensive side of things. Donovan is a cool and collected player that is capable of handling crucial defensive minutes and will certainly be up to the task if the Islanders deem that he is ready to round out New York’s defensive pairings when the puck drops on the 2012-2013 NHL season. Another Shot for Radek Martinek? It has also been reported that Radek Martinek has been skating at Iceworks in Syosset as he was one of the few players that arrived at the Isles’ facility along with Rick DiPietro, Matt Martin, and a couple of other players. Martinek was spotted at Iceworks on Monday and it wouldn’t be out of the realm of possibility to see the veteran defenseman get an invite to training camp. Formerly an eighth round draft pick of the Isles in 1999, Martinek has often struggled to stay healthy for the duration of a whole NHL season, but has been a very serviceable d-man for New York when healthy. It is highly unlikely that the Islanders envision Martinek as an option that would replace the production that Visnovsky would bring to the team, but it wouldn’t hurt to have a familiar face rounding out New York’s defense. Whether or not Martinek gets an invite to training camp is yet to be seen, but Islanders fans shouldn’t be surprised to see the 36 year old veteran suit up for the only team that he is familiar playing with. When the Visnovsky news first broke, Bill Daly stated that the KHL and NHL had an agreement whereby the former hockey league would honor NHL contracts if the lockout in North America was lifted. Seeing as how the KHL has reinforced their stance on honoring such an agreement, Visnovsky might be an Islander after all, regardless of how he feels about it. After fighting tooth and nail to void his trade to the Islanders and stating that he wouldn’t return to the NHL despite the lockout being lifted, Visnovsky has not made many friends within the Isles’ fan-base. While Visnovsky could choose to stay in Europe, he wouldn’t be allowed to play any KHL hockey because he is already under contract in the NHL. Neil Sheehy adds this: Visnovsky’s wish is to stay in Bratislava. But if the KHL says he can’t stay, he will come and play for #Isles. This isn’t the first time that a player has refused to play for the Islanders. If Islanders fans can remember, Evgeni Nabokov took much the same route when New York claimed him off of waivers in January 2011. Even though Nabokov initially refused to report to the team, he had his contract tolled and wound up coming to play for the Islanders, something that the veteran goaltender stated that he was eventually happy about as he wanted to help the franchise and its young players get to the post-season. During the 2012 offseason, Nabokov was resigned to a one-year contract with the Islanders and will likely make a strong case to be New York’s starting goalie when the season starts. Lubomir Visnovsky might not want to take a page out of Nabokov’s book and reluctantly report to Long Island, but he might not have another choice if he wants to play hockey and collect the money on his contract for this season. Regardless of the outcome, the Islanders will have to solidify their defensive pairings, and they have a limited amount of time to do so. Replacing Visnovsky if he chooses not to report will be a tall task for New York, but the Islanders have some interesting candidates for replacement if the veteran defender decides to stick to his guns.